Discover the story behind the most iconic photograph of the Vietnam War as the girl at the image's centre tells of her life after the napalm. Want to discover the story behind one of the 20th centuries most iconic images? Taken in 1972, and titled The Terror of War, photographer Nick Ut’s harrowing image came to represent the human cost of the Vietnam war: a mix of soldiers and children fleeing a napalm attack. At that picture’s centre, Kim Phuc Phan Thi, the author of Fire Road, a first-hand account of the war, and the horror and hope that came in the years which followed. Fire Road tells of how her life was destroyed when fire rained down from the sky. Covering her completely, buring off her clothes and marking her for life, Kim Phuc Phan Thi’s life would never be the same again. Almost dying from the attach, Kim Phuc Phan Thi is in the unique position of facing the horror from a young age. But, much as this is a story of the harrowing, it is also a story of hope. After recovering from her burns, Kim Phuc Phan Thi dedicates her life to helping children caught in conflicts. Finding faith, she is compelled to share with others the hope she so desperately needed as a child. Her story will open your eyes to the cost of war, and of the effect it has on the next generation. The remarkable story you never knew, Fire Road is a once in a lifetime autobiography, and a peek behind one of the 20th Century's most powerful photographs. 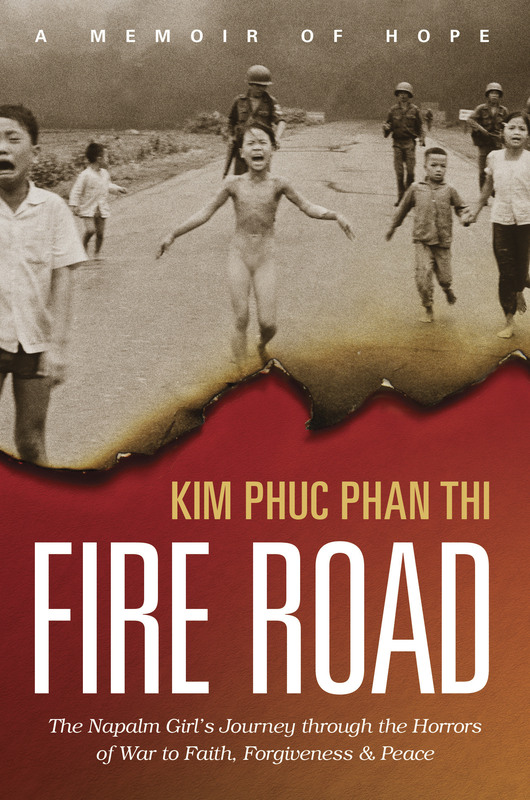 Fire Road by Kim Phuc Phan Thi and Ashley Wiersma was published by Tyndale House Publishers in October 2017 and is our 1964th best seller. The ISBN for Fire Road is 9781496424303. Be the first to review Fire Road! Take a peek at some articles related to Fire Road. Got a question? No problem! Just click here to ask us about Fire Road. These were the final shouts nine year-old Kim Phuc heard before her world dissolved into flames—before napalm bombs fell from the sky, burning away her clothing and searing deep into her skin. It's a moment forever captured, an iconic image that has come to define the horror and violence of the Vietnam War. Kim was left for dead in a morgue; no one expected her to survive the attack. Napalm meant fire, and fire meant death. Against all odds, Kim lived—but her journey toward healing was only beginning. When the napalm bombs dropped, everything Kim knew and relied on exploded along with them: her home, her country's freedom, her childhood innocence and happiness. The coming years would be marked by excruciating treatments for her burns and unrelenting physical pain throughout her body, which were constant reminders of that terrible day. Kim survived the pain of her body ablaze, but how could she possibly survive the pain of her devastated soul? Fire Road is the true story of how she found the answer in a God who suffered Himself; a Savior who truly understood and cared about the depths of her pain. Fire Road is a story of horror and hope, a harrowing tale of a life changed in an instant—and the power and resilience that can only be found in the power of God's mercy and love.